Adidas, valued at $21 billion, has a well-earned reputation of innovation and it’s still ahead of its competition with a digital-forward personalization strategy. The shoe and apparel retailer finished 2017 with a 27% increase in growth and an announcement that it would end television advertisements in pursuit of individualized, digital targeting of customers. Adidas relies on celebrities and brand influencers to bolster its reputation on social, but its new strategy involves targeting six cities with a line of themed shoes. This summer, Adidas pledged to hone its personalization across every platform by 2020. It began at the Boston Marathon, where the brand filmed personalized footage of 30,000 runners and sent unique videos to each runner by email, then published all 30,000 on its campaign website. The company learned that shoppers love to share personalized content -- driving nearly 80,000 users to its website. 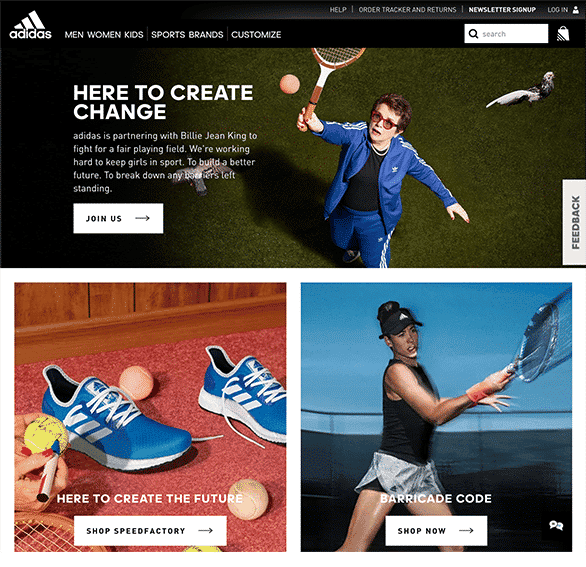 Adidas has a beautifully designed and outfitted website, featuring helpful product content. The site encourages users to sign up for the newsletter with 15% off and utilizes this data to curate relevant content. The ‘coming soon’ section onsite offers Adidas fans previews of new styles they’ll love, with the options to sign up for email notifications or add to their calendar once items are in stock. Rather than simply informing people that customers who bought this item also liked that item, Adidas also goes the “Complete the look” route, sharing complementary products. In addition, browsing certain categories, such as soccer cleats, results in emails with content about that particular sport, as well as more attribute-based gear suggestions. 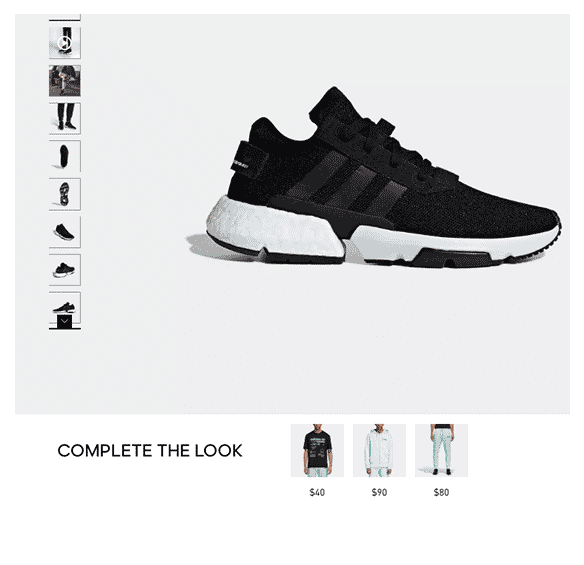 Adidas has a solid mobile app that’s fully integrated with the rest of the sportswear brand’s digital channels. 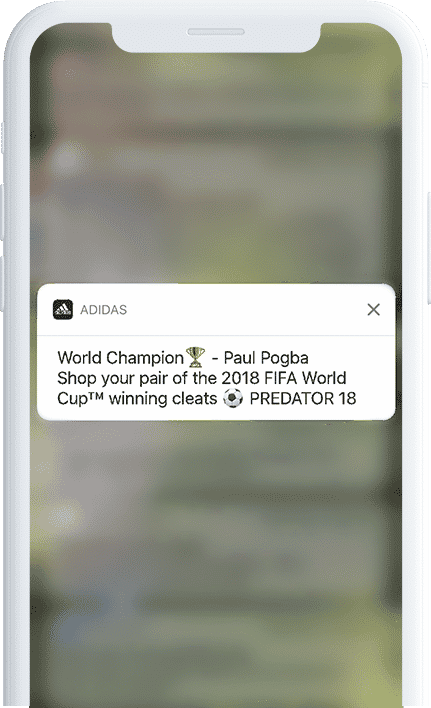 For example, customers with items in their shopping carts receive reminders via push notifications, which only get more relevant as Adidas learns more about their preferences.